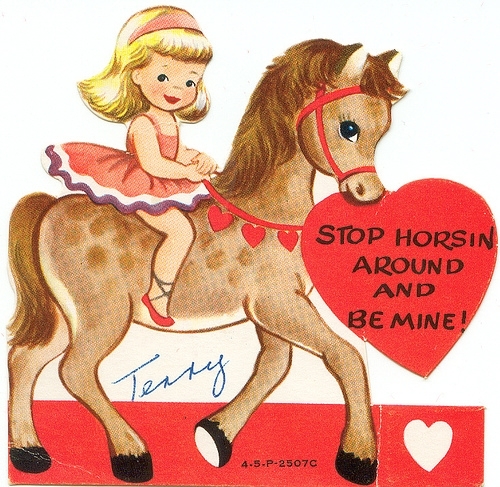 In honor of Valentine’s Day, we pulled a few horse-themed cards to provide you some inspiration for Feb. 14. Take a look! Tuesday Tips: What about a chiropractor? 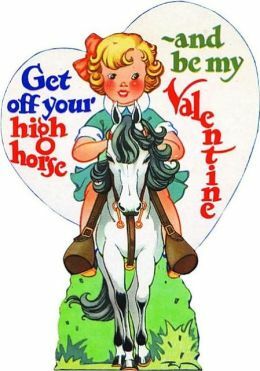 This time of year, lots of horses are experiencing a little stiffness right out of the stall (so are we, for that matter). With this on again, off again whether pattern, our horses are losing a bit of condition. That’s why we expect a little grumbling and a few short steps at the start of a warm up, but usually those resolve within a few minutes. From time to time though, a horse might take a few extra short steps or develop a grumpy attitude about coming onto the bit…or even pin his ears during saddling. Not too long ago, one of our horses went from a sometimes-reluctant dressage practitioner to downright furious–refusing to move forward, backing up, and behaving erratically…but not actually lame. When you see a change like this, your first call should be to the veterinarian. If, together, you are able to rule out lameness, a visit from an equine chiropractor may be in order. A chiropractor will go over your horse, testing the flexibility and freedom of movement in various parts of the horse’s body. If they find something amiss, they can use short, high force movements to push a vertebrae or joint into the proper alignment. Just like human chiropractics, these motions usually bring relief, and sometimes horses will heave a sigh after a particularly badly-needed adjustment. 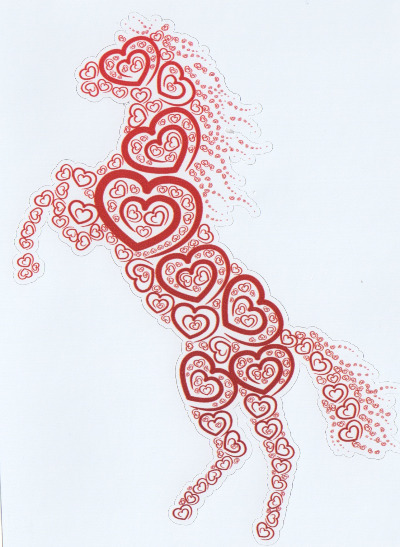 In our experience, it can sometimes prove just the ticket back to a comfortable, happy horse. There is some debate in the veterinary (and for that matter, the human medical) world about the validity of chiropractic adjustment–what its limits are, and how it should be used. There are some lay practitioners, and some are also veterinarians; in fact in some states, non-veterinarians cannot legally perform medical treatment on an animal. Work with your vet to determine what’s best for your horse, and check out the American Veterinary Chiropractic Association. Here’s a mini Tuesday tip: you can always count on flexibility from our beta biothane tack–come cold, rain, or layers of mud. Check out our shop online.